Fancy living the British country lifestyle? This house may be for you! 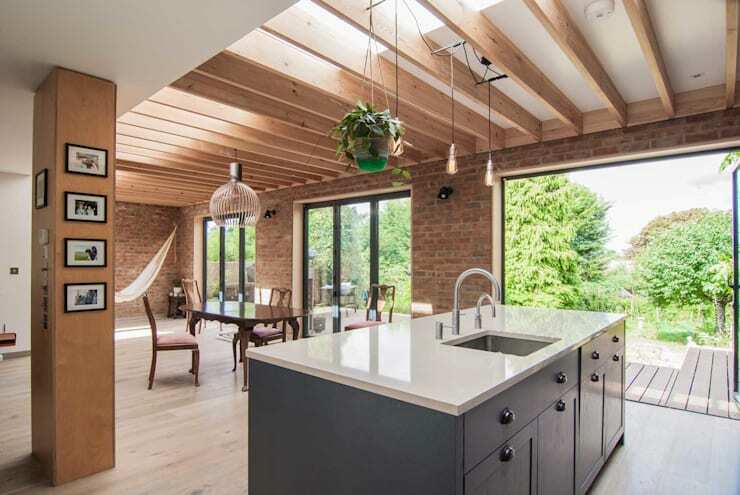 This house is a modern take on the traditional British-style country home. Aside from the amazing aesthetics, this home is ideal for those who want to have a homey home-- one that combines warmth and comfort as main element of the house. 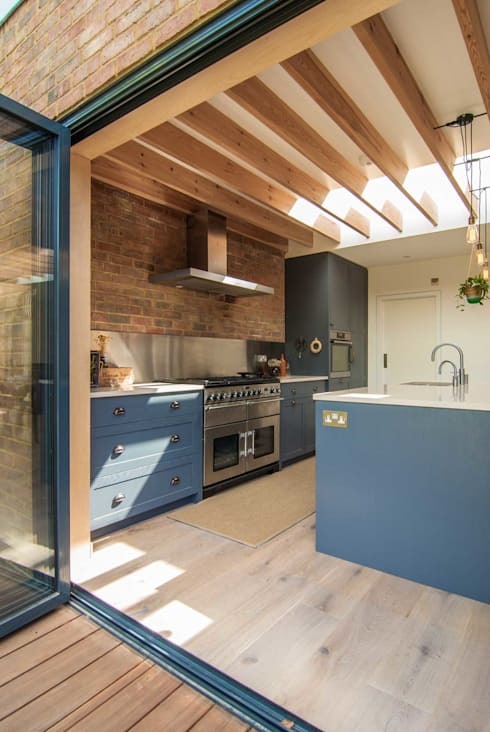 This gorgeous home showcases the work of various experts, from craftsmen, carpenters to technicians, (psst, they're here in Homify too!) to create a symphony of building materials that make this home the coveted living space that it is. Let's proceed with the Ideabook now, shall we? You can immediately see the warmth brought by the earth clay colored bricks of this home. The needed touch of modernity was given by the large-framed glass doors. And did I mention the BARE FLOORS? This is a hipster's dream come true! Bare floors can be ugly, but with proper craftsmanship and design, these floors will make you want to take flat lay photos every single time! Harmony in key elements such as colors and materials is just as important as any process of home building. 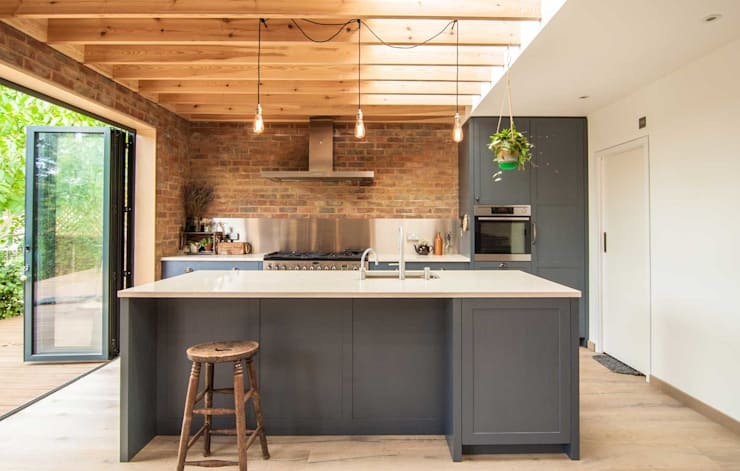 In order to achieve this traditional-modern look, the architect used gray and white (usual color mix in modern architecture) as main colors for the furniture, with the brick background as key country home element. See those hanging lights? How about the pot on top of the kitchen hood ? Do I really have to say more? 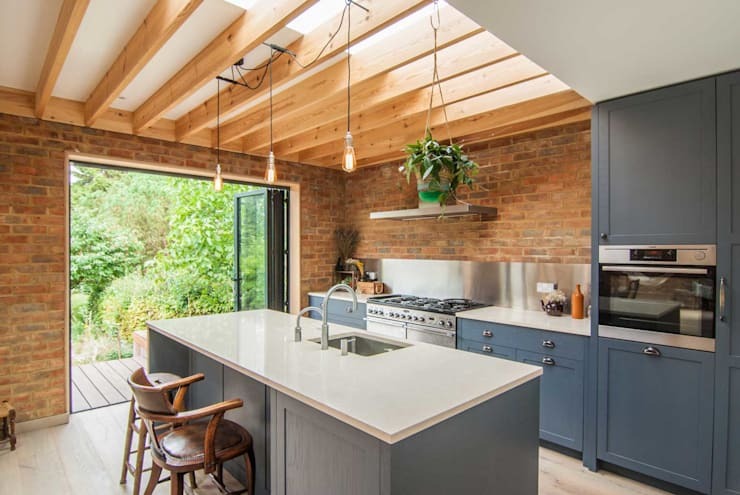 This kitchen is #GOALS. Looking from the kitchen to the outside. From this angle, you can see how connected (and harmonious) all elements of this house are. From the big glass windows that allow you to enjoy the outside while being inside, to the craftsmanship that is the kitchen counter top (with a sink!) and drawers, this place is just making us imagine what it's like to wake up here. 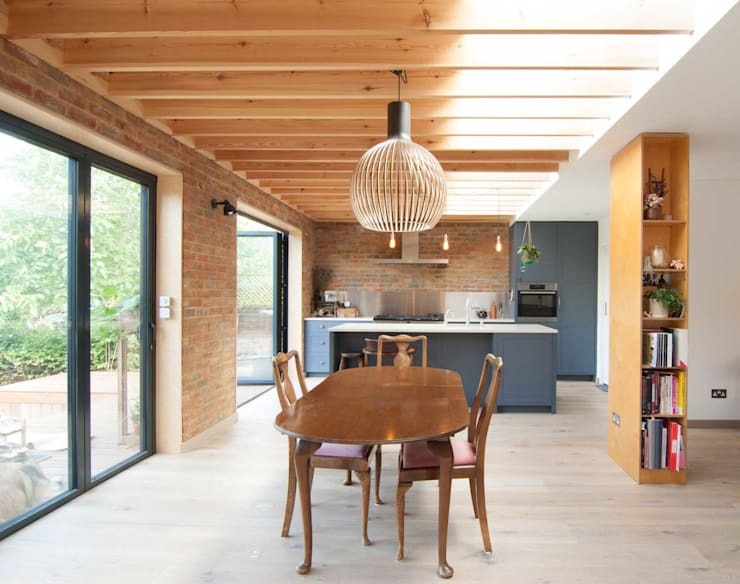 The wooden table and chairs plus wooden ceiling teamed up to create a warm dining are feel that complements the modernity of the kitchen near it. Saving electricity has never looked this good! 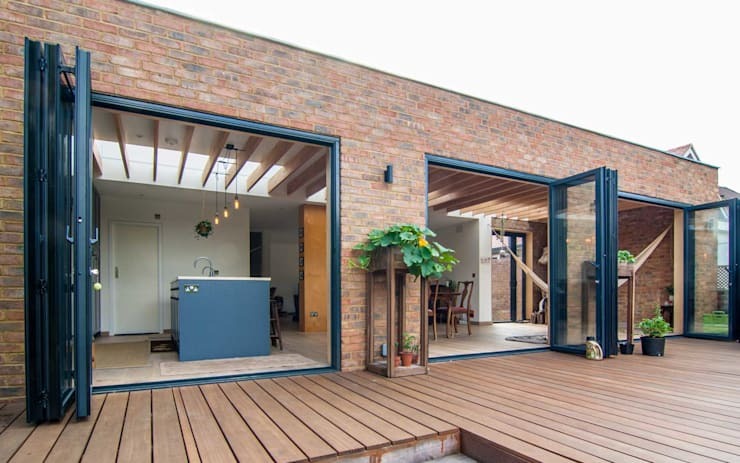 The large glass doors allow the light from the outside to brighten up the rooms uniformly.